SP Regulatory Commission – Two Decades Out Of Date? A strong market – dominating a weak market? It’s right we have a scandal. But an SP regulatory body that presides over false returns from our Grand National? Say it isn’t so – but it is precisely that. A false mechanism, condoned by the controlling body, deceiving the customers of Racing – many of whom bet just once a year. What are they to think – and do those responsible for such a system understand it enough to make sure it doesn’t happen in 2016? It is right to talk about Aintree. It was a very successful event, and our showcase race managed a few more viewers than Toffs In Boats. What an thorough non event that is in comparison to our great race. So why are we permitting anything to take away from the experience? As a betting man, and you’ll forgive me being a bookmaker here, I fully recognise the SP return from Aintree, for our biggest betting heat as too large with an overround of 165%. In laymans terms, this means (roughly) a bookie should clear roughly £65 profit for every £165 taken. That’s if he manages to lay every runner, a minor red herring, in actuality, the number of horses a bookie lays has considerable bearing on the overround. However, I don’t dispute journalists rights to question it. It is, though rich of those same journalists who ‘bullied’ bookmakers into betting to 5 and even 6 places in the National to complain about whether or not we profit from the principal event in the betting calendar– this has a massive effect on the potential to profit. 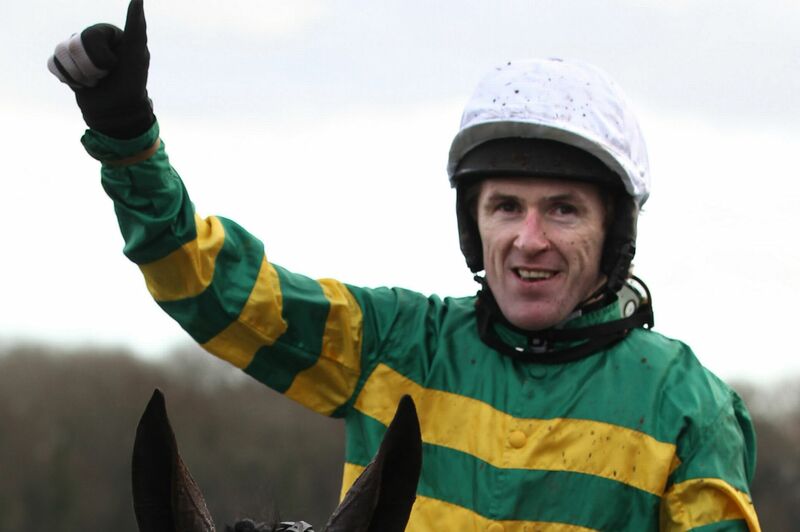 It’s likely anyone betting to five places were hammered by McCoy finishing fifth. I’m unclear why an entire industry betting on a premier event should be subject to such criticism. Are we supposed to trade to zero profit to suit folk? Why the surprise? Not as if there’s a journalist out there who’d buy a pitch at Chelmsford City is it? What’s also true – almost nobody takes SP on the National. It would be a fraction of the percentage of wagers laid. Even novices naturally take a price- wouldn’t you take a price rather than take the system you don’t understand- SP? Surely as many have suggested, the bookmakers at the track who are totally responsible for the betting ‘shows’ are simply taking the punters for a ride, with a knock on effect to the considerably larger betting empires off course. Well, the latter part will always be true – what’s good in the SP’s will benefit anyone laying bets on the event. However, the former is manifestly false. Should bookies who lay some horses be ‘tugging’ unbacked horses to compensate? Well in practice they rarely have the time, and when they do, the inclination, when there’s no one there to bet to. It’s useful to examine the Betfair returns vs starting prices – since they pretty much govern on course returns. The bookmakers at Aintree reported that 9/1 was ‘widely available’ at the track, and looking at the Betfair return(which people have suggested could be an error, bear in mind that Betfair had technical difficulties prior to the race) it’s still easy to see that offering 6/1 Shutthefrontdoor when it was evidently drifting significantly on the machine, would have made absolutely no commercial sense. We know most play into exchanges- if there were indeed such a significant ‘arb’ do we honestly believe the SP regulatory return of 6/1 or the bookmakers assertion that that return was fictional and it was at least a widespread 9/1. Why wasn’t that offer price returned? If Shutthefrontdoor was correctly returned at 9/1 as opposed to 6/1 we would have a percentage difference, on one horse, of 4.3%! Now we’re down to 161%. If you carry this argument forward to include the other runners backed by big betting, to include certain ‘outsiders’ then the actual overround was nothing like 165%. I would hazard a guess at best prices representing about 125% with an average on board margin nearer 140% with most firms near the off. OK, I hope I’ve convinced you it isn’t simply just the little bookies having a field day. But what is actually occurring? Allow me to explain this point. I read on twitter and the Racing Post one James Knight, senior horse race trader from Coral decrying returns from the track. Well that would indeed be laudable were his on track operators not influencing the returns, virtually assuring a hefty margin, instead of producing their own SP’s- which would be logical – but clearly more expensive. What started out as a fair spread around of the betting cake has warped. Of course it’s right for the big players to hedge into on course markets. And they were all emptying themselves on Saturday to ensure a variety of horses they had laid, contracted by the off time. But what used to be an on course rep running around trying to shorten a 9/4 chance into 7/4, by first taking 9/4 – and then 2/1 and so forth until he achieved his target, has become a rather grubby exercise in manipulating returns. Now the ‘player’ walks up to bookmakers offering 9/4 and tells them privately he will take 2/1 if they go less than that at the SP. Now how is that viewed by the gambling commission? For the track bookie, he gets to lay the horse at less than he’s offering. Right or wrong, he’s never going to turn down that is he? Should he care about the wider off course market. Since that doesn’t put bread on his table in the morning, one can’t blame them really for failing to consider that. A couple of points to clarify. Those placing wagers for large concerns on track are naturally enthusiastic to please traders and directors of these impressive organisations by achieving goals laid down to them. The practice of manipulating weak markets by taking less wouldn’t be fully appreciated by directors of said firms. I don’t mean to tarnish the reputation of any firm in this regard, as some of their ‘cogs’ are doing their best and don’t appreciate its questionable practice. Second, it isn’t the ‘fault’ of off track empires if the SP regulatory body has been out to lunch for decades. Why would a responsible commercial entity not continue to take advantage of a system that permits 3 grungy little bookies at Kempton to return the SP’s for a colossal empire off track? Going back a decade, the on course market was very strong. There wasn’t the coverage of sport as there is today-competing for spectators. There weren’t the betting mediums we have today. People bet on horses by habit. Racetracks were extremely well attended. Today’s SP mechanism was born out of such healthy markets, fairly representing the weight of money. That’s not true now. Many tracks attendances are decimated, particularly midweek, as they put on a product geared for betting. 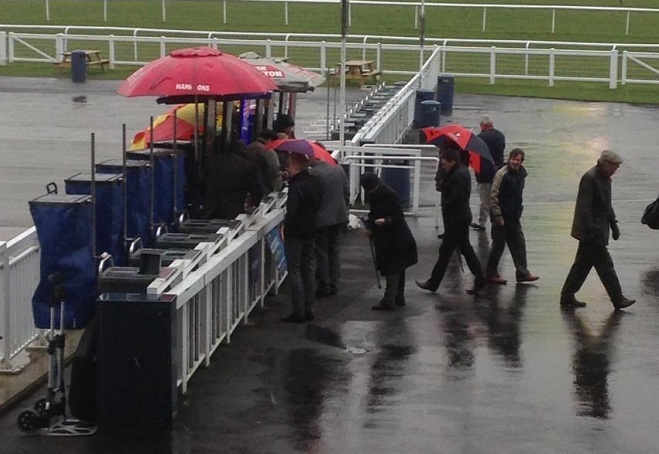 Bookmakers have become sparse and rarely take more than £500 a race turnover at such meetings, particularly at the all weather. On track firms are basically desperate at many meetings, and large betting knows it. They throw them a bone in the knowledge they will co-operate. It’s widely accepted the practice of taking a lesser price from some firms has been going on for a few years now, it’s happened to me on numerous occasions, from different firms, and I confess up until now I had never appreciated there could be a problem. I throw myself at your mercy for my failings, as a fair man. So what happened to the 9/1 STFD? Because the SP regulatory body has determined a maximum of 24 firms shall determine the SP’s. It’s called being ‘in the sample.’ In practice, it’s easy to know who is ‘in’, – the better, more sensible layers, who lay substantial wagers on demand at standard each way terms (ie no win only) are chosen from the rank and file. Is there a list of these put up for bookies reps to know who’s in or not? No, but it’s very easy to work it out. Are those returning SP’s doing it fairly? No. Final piece of the jigsaw? The large concerns are all in the sample every day, it’s in their commercial interest to bet just that bit better than the small on course bookie, and the SP returners favour their shows often disproportionately to the volume and size of wagers they are taking. They are there of course, in large part, to govern SP’s. The SP commission for example permits a system where one company – Betdaq the exchange, governs the prices on course, via an insidious relationship with RDT. 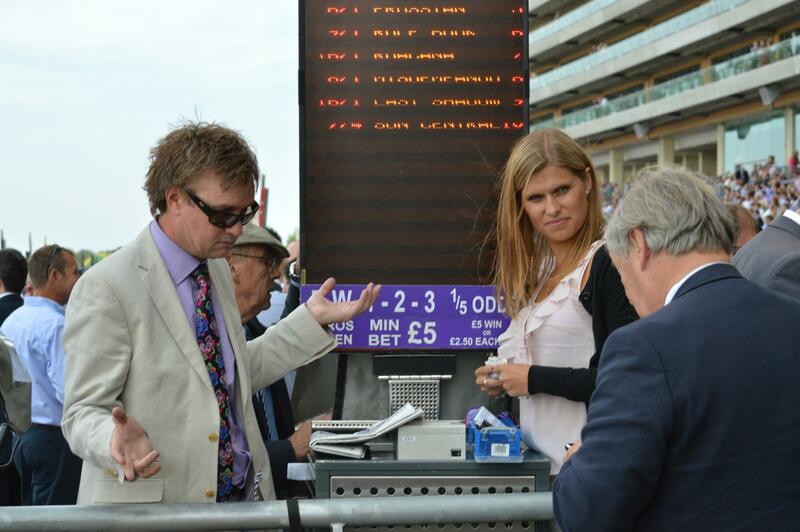 Racecourse Data Tech are a major provider (over 90%) of on course betting systems. They benefit from every hedge a bookmaker places with the exchange. Isn’t this simply a cartel? The commission has also reduced the number of bookmakers included in the system. It allows just three tiny bookmakers, standing in the rain, betting to fresh air, to return an SP, and govern the multi-million pound empires off track. I mean honestly, how ridiculous a situation is that? Why hasn’t Lord Donaghue, the Chairman of the SPRC done something about that a long time before now? Who should be interested in this report? The BHA most certainly as the regulatory body in charge of the sport, the SPRC and of course the gambling commission, who’s remit is fair play, and the protection of punters as well as bookmakers. Time to move to a new and fairer mechanism, which fully integrates big betting, exchanges, tote, on course markets and racetrack bet. And not a decade before time. – when even the SCALPING percentage deducted TOTE BEAT the SP – and for the Places, too … AND BEAT SP for EVERY RUNNER – often by a country mile, with many TWICE the SP ODDS. 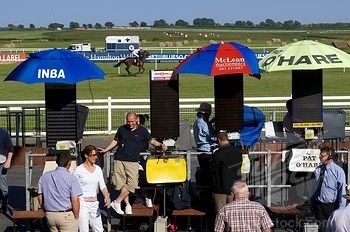 Even the ‘Public Pick’ – AP McCOY’s mount – was BETTER on the TOTE … something that would be UNheard of in ordinary races, or, even, a different Saturday television race, week in week out. I write in relation to Geoff Banks’ recent comments, regarding the SP system, and betting-percentage, of the 2015 Crabbies Grand National. Mr Banks is treading on very thin ice here. Thin ice that everyone could fall through (not just him). 1) In any market, there will be anomalies, that will not suit certain parties. Yes, the percentage on this year’s National, might have been a bit high, but I don’t hear anyone moaning, on Boxing Day, when bookies are betting to 105%, on the small field races at Kempton. 2) Selfridges make an enormous profit at Christmas. As do ice-cream vans, on hot days. With the amount of different taxes, imposed on bookmakers, can we not do the same on National Day? 3) Our banks, and government, are welcome to buy or sell shares on the stock-exchange. The betting-ring is also a free-market that everyone (including The Punters) can play into. 4) It is a long-standing (forever) tradition, for the Firms to hedge into the ring. Should this end, an SP would be taken from the exchanges. Yet another victory, and knife in the heart, from them, and their unlicensed layers (who already have enough blood on their hands, thank you). 5) I am also miffed, as to why a man, with the bookmaking pedigree, that Mr Banks was born into, would start trying to play the Punters Pal? Isn’t all of this, sticking-up-for-punters nonsense, more than a little nauseating, Editor? They want the bookies money, and we want theirs. Let’s just leave all the ungenuine fawning, to the Corporate Wallies, shall we, Geoff? I take this opportunity to thank the Firms for their hedging business. It has been a wonderful addition to Star’s on-course pitches and we are most grateful for their custom. I’m one of the people who Mr Keith refers to as “wanting his money”, so by definition someone who has no representation at the BHA or for that matter with any racing organisation with any power whatsoever. 1. “The overround was a bit high”. I ran a sweepstake on the race for an amateur sporting club and as most charities and community organisations do we paid out 50% of the money we took in (as per the local authority licence we hold), so is it acceptable that on-average off-course bookmakers have made much more on a sporting event than good causes? We’ve heard little from the authorities about the price of the favourite, perhaps because it was so embarrassing. By the way there are other exchanges than Betfair and just before the off you could back Shutthefrontdoor at 13.5 on Smarkets and therefore probably Betdaq. Both exchanges were working perfectly, so there is your evidence of twice the price even after commission. 2. “Selfridges make an enormous profit at Christmas”. Quite correct, but they do this primarily through increased turnover, not increased turnover and a bigger profit markup like the off-course bookmakers did on the national. 3. “Comparison to the stock market”. No comparison, as what off-course bookmakers do is “insider trading”, so illegal if it was the stock market. Plus, if people were found to be trading shares at unrepresentative prices (see original article) this would also be deemed illegal. I think a more appropriate comparison is the fixing of the Libor rate and at last the banks are being fined millions for doing this. 4. “Future SP”. I feel it is unrealistic to take the SP from the exchanges, as this would close virtually all other avenues for a bet, so I’m agreeing here, but it does need a close look. 5. “They want the bookies money, and we want theirs”. Of course, but we know who the main winners are at normal SP, so there is no need to inflate it and rip-off once a year punters, especially as it also legal to manipulate it. And this argument that is being promoted by the industry that nobody bets at SP on the national is nonsense or the off-course firms wouldn’t bother to manipulate the SP by hedging on the race. I wonder how many slips written by shop staff for novice punters had an early morning price written on them; now that would be interesting, but we’ll never find out. What happened with the SP and especially the price of the favourite on national day was a scandal and it would do all concerned a favour to admit it and move on, instead of digging an even bigger hole (see Simon Clare on Channel 4) by coming up with reasons that are indefensible. There is profit and there is greed; one is acceptable in a capitalist society the other morally dubious. 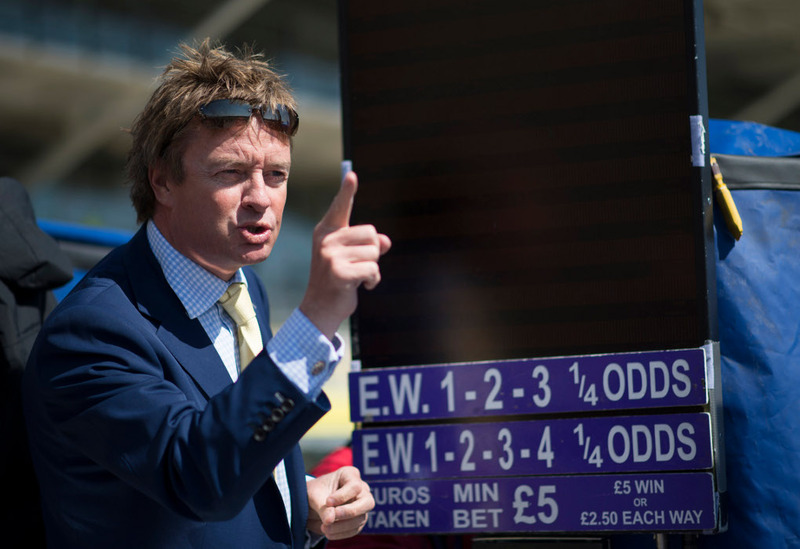 Ben’s comments – as ever heartfelt and he makes some valid points – for example to highlight the odd inflated return is perhaps unfair when the industry routinely bets – in particular to show odds, which mirror exchanges. But should a strong market off track – so easily govern an excessively weak market on course at many meetings (where a few thousand can make a 2/1 chance 6/4) ? Is that reflective of the true weight of money, or should powerful concerns be part of a true mechanism on SP’s? The point Ben makes about long standing firms betting into the ring- is correct- to a point. Now with the sample system, onlky a few firms share that business. 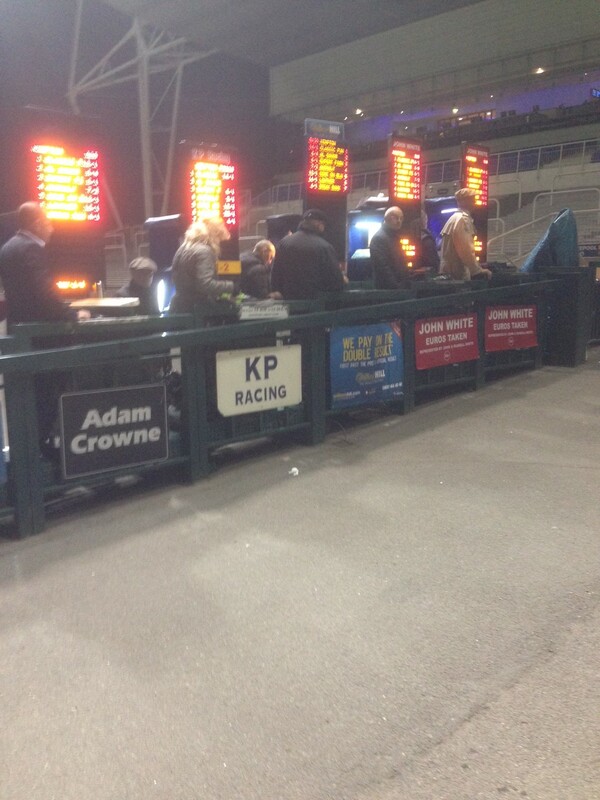 At Aintree for example – over 175 firms did not share in ANY hedging funds- the ones offering 9/1. Is that fair? Should Star or Banks be the only beneficiaries when Ladbrokes play? In my opinion no. And it’s far too easy and cheap to control odds – particularly in the all weather tracks. As to Ben’s last point – should I, as a career bookmaker, stand up only for bookmakers when i perceive something as unfair? Well to answer that, I would say anyone who thinks that way doesn’t understand me. I’m a fair man, and a lot like Ben, i run my business in a fair manner – with a mind to treating my customers as clients long term. Second- most on course bookies don’t appreciate , nor do they care- that their religious following of exchanges damages the off course market to such an extent it tires of racing as a product. I totally get that the national should be a chance for bookies on track to get a bit in the satchel. The system is so flawed tho. Well done Geoff whilst not agreeing with everything you say this here shows you are a fair man and interests of sport as well as business are important. I’m a big fan (and a friend) of Ben’s but the general gist of his letter appears to me to be ‘its broken but its’ been that way forever, we don’t exchanges included even though we follow them ourselves and that’s where the market is, it works for us and thanks lads for all the cheap money’. The SP system is broken. It is not fit for purpose in this day and age and needs changing. I don’t see how anyone even remotely familiar with the issue could keep a straight face saying that it’s okay. I’m bound to agree on two fronts. Yes the mechanism is clearly broken and there are numerous examples of this at weak meetings with few bookmakers and less punters trying to decide what’s right for a vast online empire off track- i mean if you could get your head around the turnover of just one of these major firms against a few operators on track struggling to take a few hundred a race? Oh come on! Second, on the ‘show’ bookies on track are fairly described as traders and as Ben should apreciate the ‘show’ prices he receives and is forced to bet to daily are generated from a few small on course bookies totally mirroring betdaq prices- how on earth that favours Star Sports? Race by race? Daily and weekly? Ben hasn’t thought this through in chasing the ‘cheap’ dollar of hedging firms picking a few operators to hedge with on course, of which of course Star would be one in the sample.. I am still miffed as to why this issue has been raised , I have not heard one punter in my shops or phones mention it, yet us, as an industry decide to make it an issue. I often give talks on horse racing and the history of gambling,generally to non racing folk, likewise not one ever mentioned whip issues, yet after our shop window race because of one ill informed article in the Daily Mail, we then had to drop everything to appease them. On one of my visits to the BHA HQ this was one of the topics and referred to a poll that was conducted, one of the questions was “Do you think the whip is cruel in racing”?..loaded indeed. I have a horrible feeling that this SP issue is going the same way. My turnover was up on previous years and deemed the day to be a success, my staff had worked hard again promoting the race (We won the RP Laurent Perrier award for their efforts in 2014). Why does this issue continue, yet newspapers,media ignore regular other scandals, Ripon/Bangor/Chester bet, which is clearly a disgrace and cheating the public. Imagine also the poor staff at some of the big firms who had to explain why they were not paid out on 5th place after seeing national press adverts stating they would, then being told it was for on line/mobile bets only, nothing ever said by press (big advertising revenue) yet there were dozens of complaints in the shops near mine over it. I sincerly ask for this SP on the National debate to collapse for I can only see stormy waters ahead if it continues. simply- it’s cheating the customers returning a horse 6/1 – when its freely available at 9/1! In many ways I agree that racing often “shoots itself in the foot”, but conversely I struggle to think of another sport where the media is so industry friendly. Channel 4 and all the racing channels hardly ever ask a difficult question to any interviewee, especially the big bookmaker representatives, who we all know speak like politicians. If you’re not “in the business”, try and get 20 quid on if you regularly take best prices – your account won’t last two months, so where does all this money come from they continually talk about without any sensible questioning (losers with no price sensitivity and insiders who can inform through their bets, I for one don’t know). Every winning ride is a great one and every trainer is a “shrewdie”. The RP is just an industry mouthpiece – come on, the racing industry, in the main, gets an easy ride from the media. I’m not a bookmaker, but I would have thought that independents and on-course bookmakers have hardly benefited from the policies of the big three+ over the last 10-15 years (see how many independents off-course are left compared to 20 years ago if you want any evidence). I’ve spent a long time in independent bookmakers’ shops over the last 40 years and possibly the most likely reason regular customers don’t complain about SPs is that most don’t know how to calculate an over-round or maybe even know what an over-round really means for them. Any punter who backs a dog in the morning or afternoon in a shop can’t possibly understand what an over-round is and how it affects the percentage amount they lose over the medium term. Sorry, but if all parties ignore what Mr Banks is trying to constructively discuss the void will eventually be filled by big bookmakers setting their own SPs, probably with light-touch oversight like the dogs presently and all this will do is drive more people to the exchanges, so who benefits? Excellent response- whether you agree with me or not – and whether an overround matters-what concerns me most is apathy..What characterises racing and betting? People endlessly moaning about why they didn’t get a bet with this major, Coral, Ladbrokes, Betfair – whoever. A mirriad of complaints..
From people who endlessly return to those same companies to bet , because they’re mesmerrised by offers. What distresses me? I feel like I’m a bit of a lone voice. And I wonder why, when there’s a sport full of people that love it – who are so ill prepared to stand up and act like men. What is wrong with you? Are you just along for the guided tour whilst a sport gradually diminishes in importance and interest? If that’s what you believe- say so, but if you feel my arguments deserve focus, then at least show some support. Most communication with the authorities from consumers is ignored, or worse, if you are lucky enough to get an answer you can see the hand of PR in the sentences that say nothing. Generations younger than me are used to instant communication and expect some constructive discussion using the media of their choice. Ignoring them and expecting them to “tip their hat” to what they see as outdated, quaint ways will not drive them away from football et al., only racing. For goodness sake, the authorities have yet to encourage or recognise any form of consumer group regularly attending their “towers” – or have I missed it? Keep telling people what to do and ignoring them, and eventually they will ignore you; Queen Victoria and her obedient generation died a few years ago. Before I start I wish to highlight that the on course market is one of the most diverse and competitive marketplaces in the land, differing odds (unlike SP) , many times ”bigger than the machine” and most importantly, with many books, ”You can be on ” (unlike off course). When I saw the headline ”TWO DECADES OUT OF DATE” , I thought, bloody hell ! Geoff Banks has come round to my way of thinking on the current each way terms…..sadly, not the case. Geoff, now and again, pens a blog or two. One blog he might wear his bookmakers’ hat, another he might wear his ‘punters pal’ hat, One side of the fence , then the other…if you get what I mean, more of that later. His latest offering, however, and that of Racing Post Editor Bruce Millington in his paper of 16th April 2015, and the varying comments of many on social media, (mainly punters and PR men masquerading as bookmakers) on the subject of the Grand National SP return has got more holes in it than St Andrews, Augusta and The Belfry put together. Both Banks and Millington openly state that the GN over round of 165% is ”too large”. What both, glaringly, fail to address is the SP % in relation to the number of runners. 39 in this years renewal, which equates to 1.67% per runner, not exactly an act of grand larceny. Bruce is a newspaper editor, punter, and writes a (most of the time) excellent ‘Thursday column’ but as far as I’m aware is not nor ever has been a bookmaker on course, off course , anywhere. Geoff runs his successful online bookmaker business,Is a … Ahem ….. TV ”pundit” and (less and less these days) stands as a racecourse bookmaker. Id go so far to say his appearances on The Morning Line sofa will soon surpass his appearances on course, if they havent already done so. So is an off course return of just over 1.5% a runner in a 39 runner race and the way that SP is derived unfair to the betting public? WORSE THAN THE GRAND NATIONAL SP RETURN. FACT. The above are all races which, because of archaic and prohibitive each way terms (which both Millington and Banks, in particular championed) force on course bookmakers to offer reduced win margins to compensate the unviable place %.The SP returners CANNOT use the bigger prices on offer at the track from bookmakers betting ‘Win Only’ at the track , that’s right , on course books offer bigger prices on these races , but ARE NOT INCLUDED in the sample because of a system that was implemented with the support of The Racing Post/Bruce Millington, Geoff Banks, and the majority of the Grand National SP boo boys.,So off course SP punters are left with returns on hundreds of races per year far worse than the one returned on the Grand National….. One side of the fence , then the other. During his blog Geoff compares the SP returns of the horses at the head of the National market to the Betfair ‘win only’ market. The place prices on Betfair on many races similar to the ones above regularly do not reflect the win price, the place price on offer on countless horses on Betfair regularly trade at 1/7th, 1/8th, 1/9th odds of the win price on offer, give the punters those place terms on course, you get 20 years minimum with no chance of parole…. so the Betfair market is without any doubt a Win Only market. Hang on a minute, Geoff supports a system that returns the SP on hundreds of races a year that does not take into account the on course ‘Win Only’ prices on offer but on the National he’s comparing the Each Way SP market to a Win Only market …….One side of the fence….. you get the script. Whilst I’m on the subject of Betfair, Geoff suggests ‘the cheats charter’ should directly partially govern the SP’s returned to the off course industry. Thats right, the SP being directly governed by unlicensed layers sat at home on their laptops playing on a betting exchange ! As a punter , would you want the odds of a horse you are backing determined by Jockeys, Owners, Trainers, or ‘friends’ of the same who can ‘knock a known non tryer out’ at a whim ? And don’t give me that ”It doesnt happen because Betfairs’ KYC Security and Transparency policies act as a deterrrent” nonsense, only the careless and the greedy get caught. To include Betfair directly in any SP return is akin to opening a Drug Rehab centre and sitting Pete Doherty on reception. More on the exchanges later. The word ‘cartel’ also springs up, allegedly going on between RDT , Betdaq and the on course books. Im insulted, I hope other on course books, Betdaq and RDT are equally insulted too. RDT provide an excellent service to the on course market, on course layers are under no obligation to use them or to use Betdaq, that is not a cartel its caled freedom of choice. Bruce came up with a few ‘nice’ suggestions, displaying the overround on every betting medium was rather interesting, I take it he’d have no problem displaying his profit margin on the front page of his newspaper every day then ? I’ll leave that one with you. As for the farcical suggestion of limiting overrounds, the day an independent ‘set of suits’ sat in an office dictate what prices a bookmaker can and cannot offer, this game is as dead as Dillinger. In his column of 16/4/15 Bruce openly states that the on course books are ”indeed ripping off punters”. Again I’m insulted. Now I’ve scoured Bruces’ column over and over and Banks blog numerous times , nowhere , unless im missing it, in the same sentence as the words ‘ripping off’ and ‘cartel’ can I find the word ….Chesterbet, strange, they must have forgotten to put it in. No doubt , after reading Bruces’ article and Geoffs blog , many punters will have reaffirmed their belief that bookmakers on course and off are the biggest villains on the planet , having the poor once a year punters right off. I hope all those people who have been pandering to Millingtons’ and Banks’ thoughts take a moment to take a look at the in-house tote returns from Chester and Bangor…..well , actually, you can’t, these racecourses don’t put their ChesterBet and Bangorbet returns in the public domain outside of race day. You don’t have to be Stephen Hawking to work out why. You want ‘cartel’ and ‘ripping off punters’ see Chesterbet. Other courses will be following suit VERY soon. Nap. Those who want reform to the SP system seem hell-bent on dragging the SP % closer and closer to the flawed exchange margins. Which will adversely affect bookmakers profits which will adversely affect racing, (the sport needs bookmakers rather more than the other way around these days). The exchanges have had it good for far too long, so why not as part of any new ‘racing right’ deal impose a 15% RR levy on all winning exchange ‘lay’ profits, bringing the exchanges nearer to the bookmakers and, not before time, onto a level playing field. Also have a single PAY tv racing channel, £40 per month 50% of subs go straight back into racing. Take it or leave it. What would this achieve ? Hopefully it would get people going back to the track , especially midweek if racecourses charged a nominal entry fee or better still free entry, bringing a vibrancy back into the ring on the quieter days, And if the firms want to hedge into the ring, let them, it’s a marketplace for gods sake, the current system keeps the lid on the pressure cooker of corruption, if the firms want to back one at Kempton on a Wednesday night it’s because ‘the right money’ is on and the market should reflect that. So, Bruce, stick to editing newspapers (there’s no ‘back line’ at Aintree!) and writing , on the whole, superb Thursday columns and don’t ask bookmakers to do things you obviously you wouldn’t be prepared to do yourself. Ruby Walsh asked Geoff Banks which side of the fence he’s on, probability is, Geoff doesn’t even know himself as he seems happy jumping back n forth over it, and trying to get as many people as he can to jump with him, maybe its a part of his one way journey to ‘celebrityville’ to get as many ‘fans’ on board the ‘Banks Ego express’ to stardom . Five years from now I think Geoff would much rather be rubbing shoulders with Ant n Dec in the Australian jungle than Hills and Ladbrokes in the betting jungle, though him being on ”Dunny” duty 5 minutes after Susan Boyle has taken a witchety grub fuelled dump might not suit. Maybe we’ll have the Saturday morning ‘Geoff Banks show’ in place of the current god awful Morning Line, as long as Everybody Loves Raymond is safe I couldn’t care less. Slightly overlong explanation of why the 165% of the National – wasn’t that newsworthy given returns in other races – and other sports ie Dogs. Punctuated by an attempt to amuse by comparing my brief appearances on ch4 to something akin to Ant and Dec (whoever they are) So much we can enjoy or ignore. But the blog spectacularly misses the point I’ve been making. That Aintree Bookmakers weren’t even close to 165%, that the prices returned were errant and the whole system, not just of the National, is long overdue for reform. Thank goodness for racecourse and independent bookmakers; why? At least you are willing to engage in public discussion with the biggest supporter of racing (the punter) unlike the BHA, other racing interest groups and big bookmakers, and you still take bets on horses from just about anyone who asks. This can only be good for racing in the medium term; thanks. It is also good when someone “touches-a-nerve” as Mr Banks has done, albeit people appear to be claiming he criticised more things than in reality. When you have a false or weak market the customer always suffers (see electricity, gas, water) and some SP returns fall into this category. This is not a criticism of on-course layers, it is a reflection of poor crowds and a lack of money in the ring on occasions, so please don’t “bite” so strongly, as it only promotes negative thoughts from those who have a bet, i.e. what is there to hide and what don’t we know? Also, due to the exchanges you don’t have the cosy market that utility companies do; it is competitive, albeit some may feel it is unfair competition. To be honest, you will never change my view on what happened with Shutthefrontdoor in the National, this was inappropriate market manipulation on a grand-scale by interested parties and would not be allowed in most other free markets without regulatory intervention. Your arguments should not be between each other or with the continuous suggestion that the punter is your enemy. For 99% of punters it is a war where they fire air rifle pellets at the latest tanks and don’t forget they pay your wages. Your argument should be with the authorities and the big bookmakers who’ve spent the last couple of decades in a cosy relationship that has negatively affected all the other parties who want to compete, i.e. they have created a false market, especially since the introduction of the levy being based on profits. You should always be careful who you choose as mates though (see the ABB’s virtually instant response to the recent budget and the Racing Right). This type of reaction does your industry no good at all, as all business people understand that they have to pay for the resources they use to generate their profits. At present the levy is based on only paying for your resources if you make a profit; now we would all like that! Keep the open discussions constructive (try to get the BHA to do the same – no more invited audiences) and you may find mutually beneficial ways to increase your market size again or look inwards and you will fail. This is not the 1970s, 1980s or 1990s and those halcyon days will not return; like it or not, the exchanges have changed all that. ps: I’m not a friend of Mr Banks. I’ve never met or spoken to him (sorry, might have placed a bet on-course with him; can’t remember) and I’m certainly not a PR person for major bookmakers, just a fun-punter of 40 years who is sick to death of being ignored by racing authorities, whilst helping pay the levy and other costs.